You wake up one morning—usually before an important event—and discover you have a terrible cough. You have the classic cold and flu symptoms including a sore throat, body aches, and hacking cough. These things always seem to happen at the worst possible times. To feel better fast, you probably reach for over-the-counter medicines. But did you know that there are alternatives that can help you beat colds and flus the natural way? 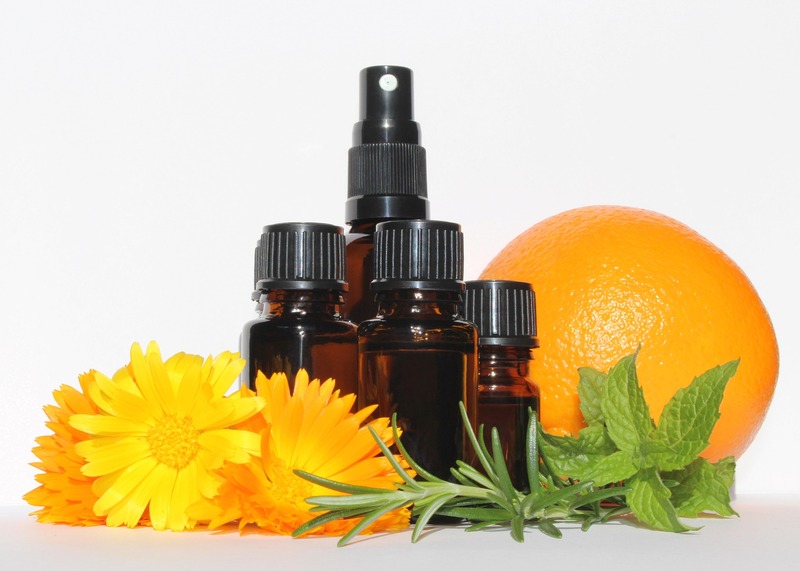 Essential oils have been mainstays of traditional medicine since their inception. Not only do they treat symptoms of cold and flu fast, they also help prevent you from getting sick in the first place. They're packed with antioxidants, vitamins, and chemical compounds that eliminate viruses and bacteria that make you sick. Essential oils help improve your mood and allow you to relax even when you don't feel at peak performance. These natural remedies effuse pleasant odors unlike pungent cough syrups. They're easy to use and you don't have to make a trip to the doctor to get them. Tackle your cough and cold symptoms with these essential oils. This oil is arguably the most well-known cough treatment in the essential oil industry. Tea tree oil, or melaleuca oil, has been used in Australia for more than 100 years as a natural medicine. Australians crushed the leaves, releasing oils that were then used to treat cough and cold symptoms. Tea tree oil has powerful antimicrobial properties and antiviral properties that kill invading disease agents. A Swiss study published in 2000 found that tea tree oil can cause the death of bacteria and viruses. The chemical compounds in tea tree oil work to inhibit the cellular reproduction of existing germs. This helps to prevent chest congestion that leads to cough. Tea tree oil also has an invigorating, camphorous scent that helps to loosen mucus and clear airways. Add 5 drops of tea tree oil to your diffuser when you start to feel the symptoms of a cough or cold. Settle into a comfortable chair and breathe in the aroma. You can also use tea tree oil as a massage oil to directly fight viral infections and open up air passages. Combine 5 drops tea tree oil with 3 drops each of black pepper essential oil and bergamot essential oil. Add the oils to 4 ounces of carrier oil such as olive oil. Heat the oil in the microwave for 10 seconds if you prefer hot massage oil. Massage gently into your chest and throat area. Eucalyptus essential oil has antimicrobial properties that help to reduce chest congestion and improve cough. This oil is a derived from a tree related to the one used to produce tea tree oil. Eucalyptus oil boasts many of the same cough and cold soothing properties as tea tree oil. It contains high concentrations of cineole—a compound that has been studied in the treatment of respiratory infections. A study published in the British journal Cough examined the efficacy of cineole on acute bronchitis. The researchers analyzed 242 patients over a 10-day period in their double-blind, placebo-controlled study. After four days, patients who received cineole showed significant bronchial improvements compared to the placebo. The frequency of coughing fits was also reduced. 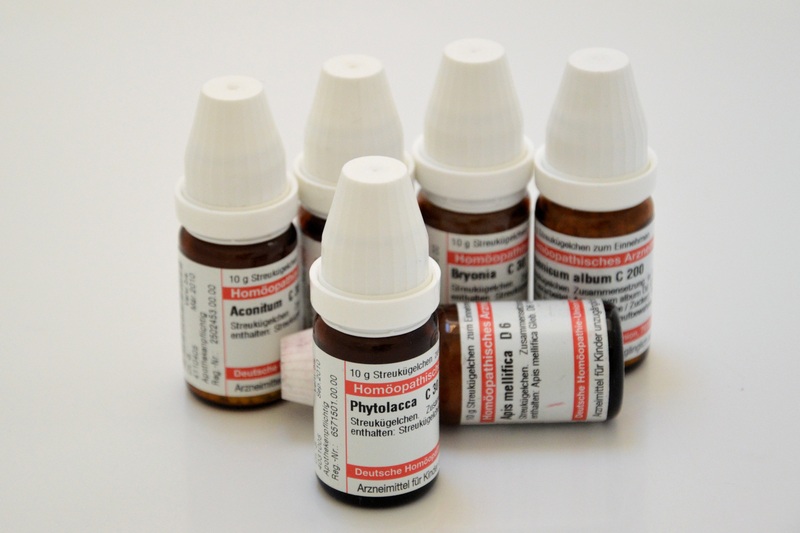 Another study conducted at Cardiff University analyzed the effect of eucalyptus oil in treating congestion. Participants were subjected to five minutes of essential oil inhalation. The individuals who inhaled eucalyptus reported a cold sensation that seemed to improve air flow. Common treatments for cough such as Vicks VapoRub contain eucalyptus oil. You can make your own vapor rub at home. Melt two tablespoons of beeswax in a double boiler. Add 20 drops of eucalyptus oil and 20 drops of peppermint oil to the beeswax. Pour in half a cup of carrier oil such as almond oil. Stir well and add to a lidded jar. Rub onto chest and feet as needed to help minimize symptoms of cough and congestion. Lemon oil is an essential oil that helps prevent disease from taking root to begin with. This essential oil boasts antibacterial properties that help to defeat the viruses and bacteria that cause sore throat. Cough isn't just caused by the common cold; it can also be a symptom of allergies. 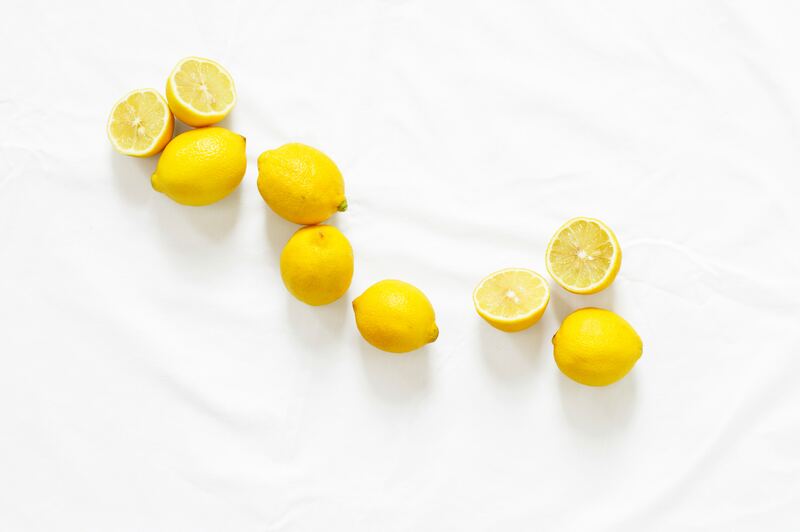 Lemon oil helps to soothe allergy responses to reduce the occurrence of cough and respiratory conditions. In a study published in Evidence-Based Complementary and Alternative Medicine, researchers found that lemon oil boasts anti-inflammatory properties. Lemon oil works to reduce irritation and swelling in the bronchial passages. This reduces cough and makes it easier to breathe when treating respiratory ailments. Antioxidants within lemon oil improve blood flow to reduce swelling in lymph nodes. Lemon oil's effect of the lymphatic system makes it ideal as a chest and neck rub. Simply combine 5 drops of lemon oil with 5 drops carrier oil such as coconut oil or grapefruit seed oil. Rub gently on lymph nodes near the throat and on your chest to open airways and soothe upper respiratory tract inflammation. Keeping your home free from viruses is essential in protecting immune health. Lemon essential oil is a great tool to keep your home clean and smelling great. Add 20 drops of lemon oil to a large spray bottle. Fill the bottle with white vinegar and shake well. Use this homemade cleaner to wipe down countertops. Peppermint oil offers a crisp, refreshing fragrance that can uplift mood. It contains chemical compounds that have antispasmodic properties that help to reduce cough. The menthol in peppermint opens throat and nasal passages to alleviate nasal congestion. The opening of airways reduces symptoms of wheezing and cough. A study that appeared in the American Journal of Respiratory and Critical Care examined the effects of peppermint on respiratory discomfort. Participants received either strawberry-flavored or peppermint inhalation. The participants who inhaled peppermint described a significant decrease in respiratory discomfort. The scientists think menthol stimulates cold receptors in the upper respiratory tract to improve breathing. Add 5 drops of peppermint oil to a home diffuser or use a natural inhaler stick when you're on the go. You can also apply peppermint oil topically with carrier oil to your chest or throat to relieve congestion. Use caution when applying peppermint oil topically as it can cause sensitivity in some individuals. Perform a small patch test on skin before applying in larger amounts. Lavender is legendary when it comes to soothing health benefits. It is a beloved floral scent that is present in everything from perfumes to soaps and cosmetics. A 2014 study found that lavender oil is more effective in treating anxiety than common prescription medications such as paroxetine. The relaxing properties of lavender oil help to induce calmness so you can rest while you recover from the onset of a cold. Lavender oil is also a powerhouse when it comes to treating disease in the respiratory system. Lavender essential oil can also soothe migraines, making it a natural choice for alleviating pain from sinus headaches. You can also make a hot or cold compress to relieve pain from sinus congestion and headaches. Dampen a washcloth with cold water and add 5 drops of frankincense oil. You can also add other essential oils like tea tree or eucalyptus to improve decongestion. Microwave the washcloth for 20 to 30 seconds if you prefer a hot compress. Place the washcloth on your forehead or against your chest. Rosemary is a popular spice used in culinary treats around the globe. It has a high concentration of camphor that gives the oils a crisp, potent aroma. Rosemary essential oil is effective at eliminating bacteria—even the ones that are resistant to antibiotics. Rosemary oil is a warming oil, meaning it increase circulation and can decrease inflammation. Rosemary oil contains high concentrations of cineole–the same active ingredient in eucalyptus oil. Cineole has been shown to drastically decrease cough and improve respiration in just 20 minutes. This oil also helps to protect and support the immune system so you get sick less often. The effort of coughing can result in achy muscles. Relieve cough-induced pain by making a massage oil with rosemary oil. Combine 4 drops of rosemary oil with 2 drops each of black pepper essential oil and vetiver oil. Add to half an ounce of carrier oil such as rosehip oil. Gently rub to massage oil onto sore chest and abdomen muscles. 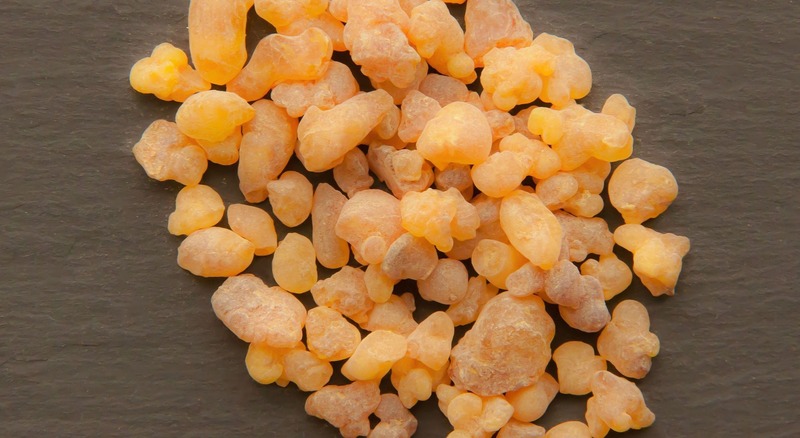 Frankincense oil is derived from the resin of trees native to Somalia, Yemen, and Ethiopia. It effuses an earthy, spicy, yet slightly sweet aroma. Frankincense oil is an effective expectorant that clears chest congestion and regulates breath. This oil is a natural antiseptic and works to break down phlegm that causes cough. Frankincense oil has been used in Ayurveda to treat respiratory problems such as asthma as well as cold symptoms like cough. A study published in Planta Medica found that frankincense oil helps to inhibit the production of inflammatory enzymes. These enzymes can cause restriction in the bronchial airways and result in cough and congestion. Drawing a hot bath can help sooth symptoms of the common cold and flu. Adding essential oils to your steam bath can help clear up cold symptoms even faster. The hot water helps to relax aches and pains while the steam works as a decongestant. Add 3 drops of frankincense essential oil and 2 drops each of eucalyptus oil and lavender oil to the hot water. Soak for 15 to 20 minutes. Additionally, steam inhalation can deliver quick relief from congestion and cough. Start by boiling water in a large pot. Add 8 drops of frankincense oil or use 2 drops each of a combination of these cough-suppressing oils. Cover your head with a towel and lean your face about 6 inches above the hot water. Inhale the steam for 5 minutes or until congestion eases. Repeat the process as needed throughout the day. Oregano oil is particularly useful in treating sickness associated with viruses. This oil boasts antiviral properties thanks to its main ingredients—carvacrol and thymol. A French study published in Food Microbiology found that these two components inhibit the growth of viruses that cause digestive problems as well as cold and flu symptoms. A second study published in 2011 focused on the effectiveness of essential oils in treating upper respiratory tract infections. The randomized, double-blind study sprayed an essential oil blend five times per day for three days. The essential oil blend consisted of eucalyptus, peppermint, oregano, and rosemary oils. The results were compared with a placebo spray in reducing severity of cough. The essential oil spray was shown to significantly reduce cough and sore throat pain compared to the placebo after 30 minutes of inhalation. Only use the highest quality, pure oregano essential oils if you choose to consume orally. Make sure to follow the suggested uses and check that your oregano oil is safe for consumption. Place one drop under your tongue and let it absorb for 30 seconds. Swallow or rinse after the 30-second waiting period. If you are unsure of using essential oils orally, you can use a diffuser instead. Add 3 drops of oregano oil to your diffuser and inhale deeply. You can also add a few drops to bath water if preferred. Thyme oil is an effective cough suppressant and helps boost the immune system. Thyme oil has antimicrobial properties that work to eliminate disease-causing bacteria on a cellular level. The spicy aroma of thyme also helps to energize and fight fatigue associated with colds. It boasts decongestant properties that help reduce mucus that can cause coughing. A study published in Medical Chemistry examined the use of thyme essential oil in treating bacteria that cause strep throat and the common cold. In all, researchers analyzed 120 strains of bacteria and the effectiveness of thyme in treatments. Thyme was shown to have strong activity against all bacteria strains and was even effective in eliminating antibiotic-resistant bacteria. 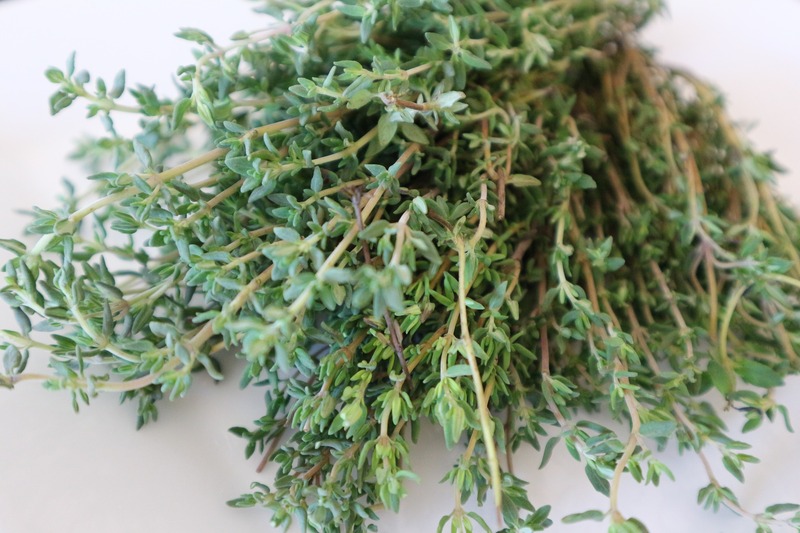 Thyme works best to reduce cough when used in inhalation. Add 4 drops of thyme to your diffuser to relieve mild symptoms of cough. For severe cough, add a few drops of thyme oil to a warm bath. Fill the tub with warm water and add the essential oils while the tap is still running. You can add other potent cough-fighting essential oils if desired. Soak for 10 to 15 minutes for best results. Cypress essential oil is another tree-based oil that can help treat cough. It is an oil that promotes vitality and helps to increase mood when you are feeling under the weather. The scent of cypress oil is fresh and piney. Cypress oil consist mainly of monoterpenes, including one called camphene. Camphene has been shown to inhibit the growth of bacteria and yeast that can cause colds and infections. Camphene also produces a cooling effect similar to that of menthol. This cooling sensation makes it easier to breathe by opening up airways. Cypress oil has antispasmodic properties that help to reduce inflammation and irritation that causes cough. Cough is caused by the contraction of muscles, which are usually a response to some sort of irritant. Cypress oil can help to relax these muscles so that you cough less. Combine 4 drops cypress oil with 2 drops ginger essential oil. Add to half an ounce of carrier oil and mix well. Gently rub onto abdominal and back muscles that contract when you cough. Many people reach for prescription or over-the-counter medications to treat cough. These medications can have unintended side effects and may be ineffective in treating the diseases that caused your cough in the first place. If you're looking for an all-natural alternative, opt for essential oils. They're packed with healthy compounds that help to eliminate congestion and open airways. They're also backed by science and are a good alternative when you want to feel better fast.